Even though these tweets are not offensive, they are certainly distasteful considering that the company is taking advantage of a tragic situation where people were killed. People have lost their lives today just by cheering on their loved ones in a race and the cure for that is a bowl of breakfast energy? Sigh. Most people are also offended by tweets and posts immediately after a crisis that clearly have nothing to do with the tragedy at all. 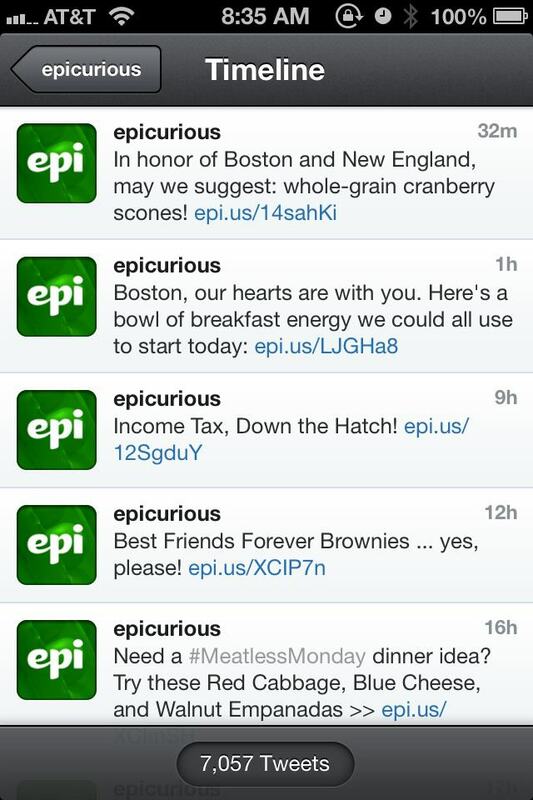 It's so bizarre to see businesses post things during a crisis that signify business is still operating as usual. In times like these, most people want to stop to reflect about the events unfolding. They don't want to be sold to. Sometimes, though, this is usually a clear indication that the business has "auto-scheduled" tweets or posts in advance to make it easier for them to manage their social media marketing. In best practice, it is imperative that any social media manager or company turn off all scheduled posts for the time of the crisis as to not accidentally offend. The chances of a tweet with the ironically wrong wording at that time could almost ruin a brand. My advice would be to choose your words carefully when posting to social media networks (if at all) after a tragedy. DO NOT use the situation to promote your company or product. Do not make jokes and choose your time wisely. Think before your type and take it as seriously as you would as a respectful individual.